I have always loved Quest bars as a replacement meal or snack when I did not have a whole food alternative at hand; so I was reluctant to stray from a sure thing. But GNC had the same 4-bars-for-the-price-of-3 deal whether you bought four Quest bars or mixed and matched with its private label brand. So for one of the four, I selected the chocolate chip cookie dough GNC Advanced Protein bar and totally regretted it. Because the GNC bar had way better flavor and texture; and now I was stuck with three Quest bars. If you've ever had a Quest bar you know they are kind of hard and have to be microwaved for about 7-12 seconds to be chewable. The Advanced Protein bars are softer and edible right out of the wrapper. From a nutritional perspective, the two bars are pretty comparable protein and fiber-wise, although the GNC Advanced Protein Bar has 6g net carbs vs the Quest Bar's 3g. So, the Quest Bar is slightly better on that score. Protein Blend (Whey Protein Isolate, Milk Protein Isolate), Isomalto-Oligosaccharides (Prebiotic Fiber), Almonds, Water, Unsweetened Chocolate, Cocoa Butter, Erythritol. Contains Less than 2% of the following: Sea Salt, Stevia, Natural Flavorings, Sucralose. To view the actual nutrition labels containing protein, carbs, fiber, etc. for each bar click here and here. Neither bar seems significantly nutritionally superior to the other; so for me it comes down to taste and texture. And the GNC brand wins that contest hands down. If you have ever tasted halvah, this is about as close as you will get to that Middle Eastern treat in a low carb format. I'm guessing it could be the cashew butter that gives it that great flavor since Quest uses almonds to impart the nutty notes. I like the GNC Advanced Protein Bars so much I became a GNC gold card member so I could buy them even cheaper. At $20 for two years, I've likely already recouped my membership fee. Calorie-wise, both the Quest and GNC Advanced Protein bars are very similar (190 vs. 200, respectively); and both are calorically comparable to Medifast's new line of Maintenance bars, such as the Dark Chocolate Dream bar (200 calories). Unfortunately, the Medifast bar has way more sugar (13g) and net carbs (20); so I have not even bothered to sample one. They are also more expensive than Quest or GNC Advanced Protein since you can't get the 4-for-the-price-of-3 deal and have to pay shipping unless you are placing a huge order (unlikely once you're on maintenance). The Medifast brand also contain seven bars per box vs. eight for Quest and GNC. So, while the weight loss line of Medifast replacement meal bars are great for shedding pounds on the 5&1, I opt to shop elsewhere for maintenance bars. Caution: My local GNC stores also carry an apple pie flavor Advanced Protein Bar which I bought by accident and did not like as much as the chocolate chip cookie dough variety. 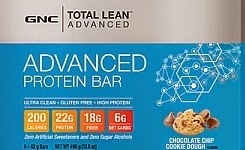 I think GNC also carries a private label cookie dough bar that is not part of the Total Lean Advanced line; so be careful not to confuse the two. If you haven't watched any You Tube videos by TSFL health coach Leah a.k.a. FitAndFabBy40, you're totally missing out. Leah is doing her VEDA thing this month (Video Every Day (in) April) and one of her most profound videos to date is her April 8 Diet Mentality All or Nothing. The gist of Leah's message is that many dieters sabotage themselves with an "all or nothing" mentality. Leah begins her video by reminding us of the Internet meme, "If you get a flat tire, don't slash the other three." "How many of you have ever gone off plan, had something not on your diet, and then just said, 'Screw it? I"m just going to blow it for the rest of the day. I'm going to have a pizza. I'll just restart tomorrow. Or, worse, I'll restart after the weekend . . . or after this birthday party . . . or at the first of this month....'"
Her point, of course, is that we give ourselves permission to go hog wild just because we ate or drank one thing that was not strictly OP. We tell ourselves, "If we're not following our plan to the absolute nth degree, we may as well be fat for the rest of our lives," Leah says. "Go right back on plan next meal, next decision. Don't think you've just blown everything." Leah points out that sometimes we may consciously choose to eat something off plan; for example, we're in a different city and want to sample a local delicacy. And that's okay. What's important is to make deliberate choices and not eat something just because it's there. "There will never be a shortage of Peeps or Oreos or pizza," Leah says. And when we do fall off the proverbial horse, we should be conscious of how it makes us feel. Ask yourself: "Is it worth having a physical ill feeling, having the mental anguish and the feeling of defeat," says Leah. What happens too often is "we turn to food again to comfort (ourselves) and it just becomes a spiral. This is a pattern we have lived through our entire lives." "Changing your life is not a punishment," says Leah, "You're not being punished This is a choice It's a conscious choice. "Every single step in the right direction is progress and success isn't a straight line. It's a whole series of twists and turns and mental gymnastics and taking one step forward and two steps backward sometimes. "A meal or two out of your entire journey is not going to blow it. What blows it is when you just say, 'Screw it.'" There's a lot more information and inspiration in Leah's eight minute video that I have not shared; so I encourage you to watch the video in its entirety to fully grasp the powerful message. Better yet, keep a link to the video in your favorites for those times when you slip up and are tempted to throw up your hands and cry "Uncle." I can totally relate to Leah's message and have reshaped my thinking to incorporate the reality that one does not have to be a Perfect Polly to be trim and healthy. 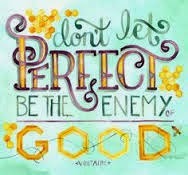 "The perfect is the enemy of the good" is the motto that has helped me maintain my ideal weight since losing 35 pounds on Medifast over a year ago. In other words, it's what we do most of the time that determines our fate. Eating one cupcake or drinking a piña colada will not make us fat unless we convince ourselves that our only choice is to be perfectly on plan or totally out of control. 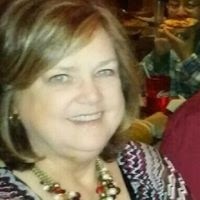 Guest blogger Pat Cowan is back today with a story of her transformation from a fast food fan into a Medifast Martha Stewart. A key part of the long-term success of the Medifast 5&1 Plan is the 1... the Lean & Green meal that is freshly prepared at home. To keep it interesting, MFers like to buy cool gadgets like mandolin slicers and the Veggetti (which turns zucchini into zoodles, or zucchini noodles) and do strange things to food like chiffonading -- just like real chefs. Before they know it, they find themselves enjoying the process of preparing whole fresh foods far more than yelling into a crackly speaker at a fast food drive in. Saturday. No office routine. Hubby away for the day. Morning chores dispatched quickly and then off to my Happy Hunting Grounds -- the food store. Normally we like to prep as much of our week's food on the weekends as we can. We are recovering fast-food-aholics, and when we want to eat, we don't want to wait. Prepping keeps us on plan. I started on the cucumbers -- slicing on the mandolin, brining in vinegar and water -- a cool side treat with most meals. I moved on to creating the cole slaw, marveling at my new and improved knife skills. Feeling the need for more slicing and dicing, I decided to sauté the mushrooms and onions. Now let me tell you: no one can resist the enticing aroma of sautéing mushrooms and onions. My dinner plans evaporated as I realized I had to incorporate those yummy little brown nuggets into my meal somehow. With no hint of my ulterior motives, I casually asked my husband if he'd like an omelet for dinner. Sure, said he, blissfully unaware that I hadn't a clue in the world how to make an omelet. My visions of eggy goodness topped by lovely sautéed mushrooms and onions would carry me through. 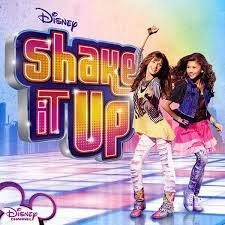 Besides I saw the movie Julia. 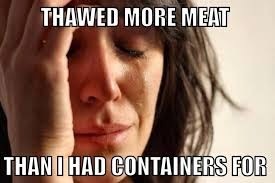 She had issues with the eggs, and I have egg beaters -- so how hard could this be? I started getting my ingredients ready first, not because I have a clue about mise en place but because I'm an OCD accountant who needs to know where things are -- and they'd better be tidy. I rolled my baby spinach leaves and realized I was chiffonading them. Moi? Chiffonading? Valiantly carrying on, I diced a tomato taking care to dump the goo and seeds. I weighed 7.3 oz of cooked ham (serving two, remember?) and diced it. Then I took my frying pan in which I had sautéed the mushrooms, and poured in the egg beaters. I let it cook a bit, then figured it's time to layer on the ingredients. Spinach, tomato, ham, and shredded cheese. I'll pause here for a second while the experienced chefs out there finish guffawing. Now I cooked, waiting for the eggs to stop being so runny. And I waited. I turned off the heat and put a lid on the pan. And kept waiting. Eventually I had to give up and pray to the cooking angels that when I flipped the omelet, somehow the interior would cook. Now the real fun began: the frying pan is a 15" stir fry pan. Ever try flipping a 15" anything?? So, after it broke into three or four pieces, all I wanted was to get the damn thing out of the pan any way I could. Maybe if I put enough mushrooms and onions on top of each serving we'd never notice that it looked something like scrambled eggs on steroids. Gotta say though -- it was mighty tasty! My thoughts: What I love about the Take Shape for Life approach to Medifast is that it really teaches healthy new habits. As Pat's story shows, meal prepping is key to ensuring we always have something healthy to eat in the fridge, quelling the habit of buying take-out food on the way home from work. Even when our home-cooked meals don't turn out quite as planned, they still taste great because they're prepared with loving hands and high-quality ingredients. I have been off the Medifast 5&1 Plan since February of last year, but there is one Medifast replacement meal I still eat on a regular basis -- the brownie soft bake. 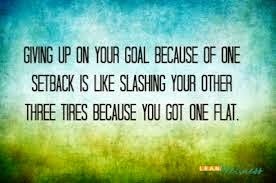 Photo courtesy of Escape from Obesity blog. This version has peanut butter but I prefer almond butter. 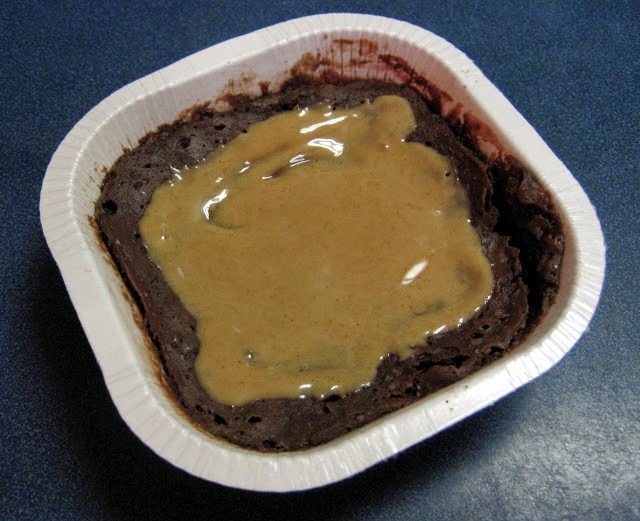 For the last few months, my breakfast nearly every morning has been a Medifast brownie soft bake mixed with 3T of water, microwaved for 35 seconds (so it is not fully cooked), and then topped with a spoonful of almond butter. It's like eating a Reese's peanut butter cup for breakfast! What I love about this breakfast (besides the taste and texture!) is that I usually feel full for about four hours so I am not even tempted to snack between breakfast and lunch. 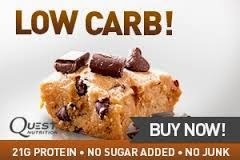 I'm not sure how much the almond butter is a factor, but most likely it adds satiety because the fat -- combined with 4g of fiber -- slows down the digestion of the protein and carbs from the Medifast brownie soft bake. This breakfast travels easily with me on the road since pretty much every hotel or relative's house has a microwave. And I can prepare it in less than three minutes (counting the blending of the magic powder and water). In addition to the brownie flavor, I have also made this breakfast with the chocolate chip and gingerbread soft bakes, both of which are perfectly fine in a pinch. 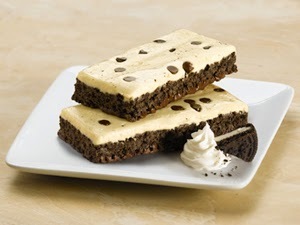 But the brownie is my favorite since chocolate is a natural complement to the nutty flavor of the almond butter. Occasionally, I will even turn this meal into a shake by adding some crushed ice and almond or cashew milk to the brownie powder and almond butter and blending in my NutriBullet. It's the perfect on-the-go breakfast in the car when I'm late for work -- and a much healthier alternative to Carnation Instant Breakfast which contains a whopping 20g (that's 5 teaspoons!) of poison sugar. In one of the biggest "shake" ups in Medifast history, the company is shedding eight board members and shrinking the size of the board of directors from 12 people to 9. Among those losing their seats at the table are company president Margaret "Meg" Sheetz and executive veep and general council Jason Groves, both of whom will retain their C-suite jobs. Sheetz is the daughter of former CEO Bradley MacDonald and niece of current CEO Michael MacDonald, which has to be a funny coincidence. I mean, it's not like Moe's Pizza where you can just make your son the manager. The bottom line for Medifast is that the board will now be professionalized with national heavyweights who could help the company be more competitive against Weight Watchers, Nutrisystem and Jenny Craig. New board members are expected to bring more sophisticated skill sets to Medifast in key areas such as marketing and finance. Meanwhile, Medifast CEO MacDonald acted like he was planning to make changes to the board all along, but he was kind of hurried into it by some activist investors who couldn't understand why a company with such a great business model and no debt made less money in 2014 than the year before. It's not like people stopped going on diets or the economy sucked worse than usual. We don't know what effect the new board members will have on Medifast, but we're hoping it will be good. For starters maybe they should guide the company to ditch dumb ideas like $42 a pound popcorn; create irresistible food options at fair prices; offer free shipping with a smaller minimum purchase; and handsomely reward all the hard working TSFL health coaches who bring in the clients and revenue. Closet Medifasting is a thing. In a couple of recent Medifast Facebook group discussions, I found out some MFers avoid telling their friends and relatives they are on the Medifast 5&1 Plan. In one case, the OP shared her dilemma of being invited to her sister-in-law's house for a luncheon, and other group members suggested she make up an excuse not to go or tell her hostess she had diabetes and needed to bring her own food. In the other, the dieter accidentally posted a weight loss status update on her public page instead of the private Medifast group page. She deleted the post, but worried that some of her friends and relatives had already seen it. Her reason: "I just didn't want all of their well-meaning advice, or questioning/warnings about Medifast, etc." I felt kind of sad about this secrecy for a couple of reasons. For one, when people trim down on Medifast, it inspires others to try the program. I was motivated to try Medifast after a distant cousin posted on her Facebook page it had helped her lose more than 50 pounds. Equally important, there seems to be a shame base in hiding the fact they are losing weight via Medifast, as if they're secretly mainlining heroin or doing something shady. As a superfan of anti-shame queen Brené Brown, I believe in owning what I do and being secure enough in my choices that other people's opinions do not shake me. We're all grown ups here, right? Why should someone else's view on how to lose weight make me feel "less than." 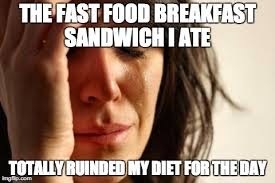 One of the Facebook group's members mentioned there is a social bias against doing Medifast because the replacement meals are processed foods. "Negative comments I used to hear about Medifast is that it's packaged, its not organic, it's soy based blah blah blah ... and they didn't realize you can eat actual food." She said her coach advised her to tell people she was on Take Shape for Life instead of Medifast because TSFL focuses more on developing healthy habits instead of consuming Medifast replacement meals. Happily, not everyone keeps their Medifast diet a secret. One group member posted, "I love my success on Medifast TSFL and I want everyone to know! I'm a walking billboard now! Everyone asks me how I did it!" And though I wouldn't recommend eating five Medifast replacement meals a day forever, I'm glad that I made the choice to do so more than 18 months ago -- and that I have kept my weight off for more than a year. These days, the only thing I keep in my closet is a wardrobe of smaller-sized clothes.